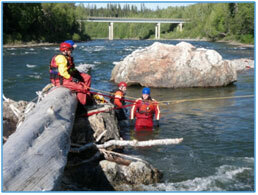 We'll get you out on local rivers, learning to understand river hydrology and how to work, play, or rescue others safely in a river environment. Includes e-learning in advance of the course dates. Email us for more information or to schedule another course a different day!